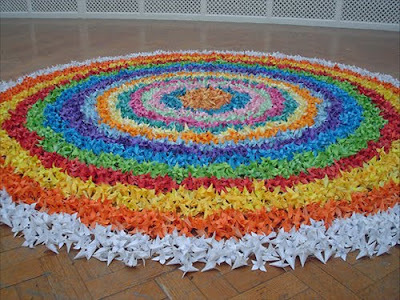 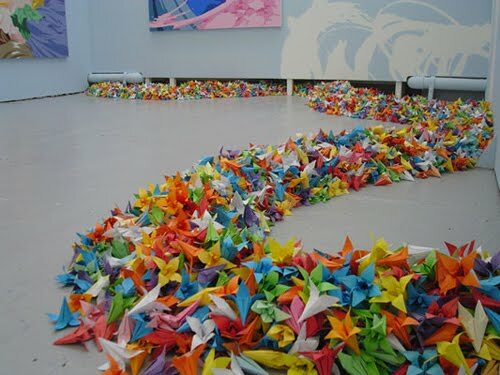 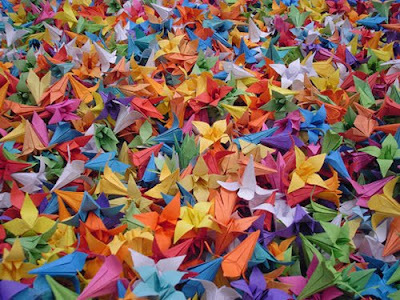 10,000 origami flowers, all folded by James Roper. He folded these flowers over the course of three years. 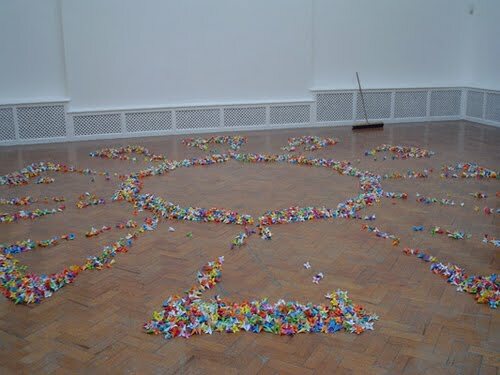 Every day he would fold an average of ten of them. 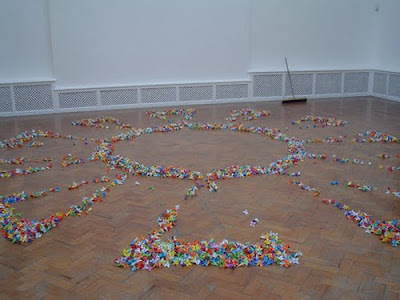 Then he created different compositions of the flowers on the floor of a gallery. James Roper is a multidisciplinary artist, designer, painter and paper craftsman.